LONG BEACH, CA (Laserfiche)—December 2, 2010—Taking place on January 10-12 at the Hilton LAX in Los Angeles, CA, the 2011 Laserfiche Institute Conference is expected to attract more than 1,200 attendees. 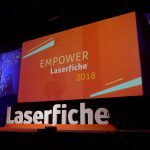 With 120 distinct classes offered over the course of three days, Laserfiche will this year introduce interactive panel discussions on hot enterprise content management (ECM) topics such as virtualization, metadata design/implementation, workflow optimization, risk management and more. The conference will also showcase customers’ best practices for using Laserfiche to solve business problems. Featured organizations include North Carolina’s Gaston County, Pulte Mortgage, Texas A&M University, Xpyria Investment Advisors, the UK’s London Borough of Tower Hamlets, DL Evans Bank and more. In addition to conference keynotes and classes, a special event at the Petersen Automotive Museum on January 10 will facilitate networking and give attendees the chance to dine among some of the world’s most impressive cars. 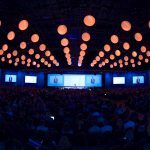 Learn more about the Laserfiche Institute Conference at https://www.laserfiche.com/conference.